Lets us start off by saying that bodybuilding is definitely an appropriate term for women who want to transform their body. We say this because most females that hear anything related to this subject freak out in a bad way. Bodybuilding has been heavily associated with steroids and muscularity and it shouldn’t be. When we talk about bodybuilding we are referring to the concept of bodybuilding that originated in the ’60s and ’70s. Bodybuilding is a lifestyle that allows someone to sculpt their body to what they desire it to be; just like a Greek statue. There have been an insane amount of myths created related to women’s fitness and bodybuilding that make no sense at all, that’s why we created this informative article. If you’re reading this it’s probable that you have heard any or all of these, keep in mind that they are all myths, hopefully by the end of this article you will feel a little more comfortable in relation to your bodybuilding activities. This myth absolutely makes no sense at all but for some reason people think of it as true, genetically speaking women are equally as strong as men pound for pound. Maybe you can’t lift the 100lb dumbbells that the guy is doing next to you, but you can surely strive to do the 50lb ones which in comparison to what a man can lift, pound for pound is way more impressive. Think about it, if a guy weighs 220lbs and is lifting 100lbs dumbbells he is pressing less than half his body weight, if you are woman who can lift the 50lb dumbbells and you only weigh 120lbs you are equally as strong, the same thing goes for every exercise, if you want your body to change you need to put the work in and lift heavy! The previous myth brings us to this one, why do women think they need to lift light? 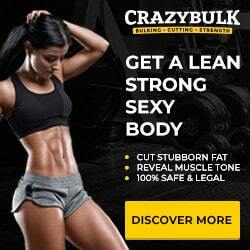 If you want to get a toned or defined look you need to burn fat and gain muscle, this can only be achieved by training intensely with moderate to heavy weight, the muscle needs to be torn in order for to heal and grow, lifting light weights is not going to get you anywhere, the same thing goes for cardio, without weight training cardio is virtually useless. As you can see each myth leads us to the next one because they are all related, in this case, we are discussing the “I will get too big myth”, this is false and it has been scientifically proven, women naturally produce a hormone called estrogen while men produce testosterone and human growth hormone. These last two hormones are what cause muscle and bone building in men, without them men would have the same genetic frame as women, now, this doesn’t mean that women don’t produce these because they do but in minimal to nonexistent amounts, what this means is that no matter how much you train or lift heavy weights you won’t get big. Just think about it, men struggle to gain a few pounds of muscle a year and they have a lot of testosterone and HGH running in their bodies, naturally, women can’t be as big as men, you won’t achieve excess muscularity unless you do steroids which isn’t a good idea at all. Cardio is definitely a great method for improving cardiovascular health, but it’s not the only way to lose body fat. Cardio is popularly associated with the image of weight loss and it makes sense, men and women think that hopping on a treadmill for an hour a day is the answer to losing weight and achieving total health, this is false. Cardio is only half of the equation that is needed to lose weight; the other half has a lot to do with nutrition and knowing one’s body. 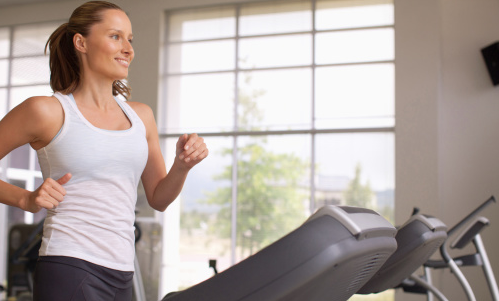 The image of women doing some sort of cardio at the gym is often used by gyms as an advertisement for weight loss, and while it’s true that cardio has its benefits, it’s not all that great. Cardio is great for various reasons it strengthens the cardiovascular system and burning calories, the secondary benefits of cardio include warming up and loosening up the joints before a workout. The tricky part about cardio, that no one likes to talk about is the fact that its effectiveness will always have a direct effect on the person’s nutrition, think about it, if someone is eating 5000 calories of junk food in a day, what good are thirty minutes on a treadmill? The only way to lose weight is by creating a healthy nutritional plan that is made up out of foods that are rich in macronutrients and micronutrients, in most cases, calories don’t really matter. Other than having a healthy diet, weight training is key because not only has it been proven to burn more calories than cardio, but it also builds muscle, conditioning, resistance, and explosive strength. Women will always benefit more from weight training than cardio, it’s not a myth, it’s a fact. If you are working out till you can’t take another breath inside the gym your body’s metabolism will be fired up, if you don’t eat accordingly to your activity levels your body will burn muscle instead of fat, if you’re working out big you need to eat the part. Eat good high protein foods and stay away from fats and sugars, a common misconception in men and women is that they need to exclude carbohydrates from their diet, this is just crazy, carbohydrates fuel your body, cutting them from your nutrition will make you feel weak and tired, keep everything in balance. If you want you can have an occasional burger or pizza, there is no reason why you shouldn’t if you’re training hard in the gym. The general part of society thinks that calculating calories are the key to living a healthy lifestyle, not only is this false, it’s completely confusing, understanding how this false statement became popular is mind-boggling. A lot of women (and men) don’t have a clue on what a macronutrient (macro) is, the same goes for micronutrients (micros), this usually leads them to measure their food intake based on their caloric consumption. Understanding macros and micros are very simple, these are basically the nutrients that your body needs, macronutrients need to be consumed in high quantities and are separated into three groups: protein, carbohydrates, and fat. Micronutrients are nutrients that also need to be consumed by the human body in order for it to function but in way smaller quantities; micronutrients come in the forms of vitamins, minerals, amino acids, etc. Caloric measurements should become obsolete, it’s better to learn about macros and micros, this will greatly improve your health and better your perception of food. Calories are only a way to measure the energy that goes into the body, they don’t measure the quality of it. The last myth that is going to be discussed is supplementation for women. The idea of women utilizing supplements to gain muscle, lose weight and improve energy in the gym is not very popular. Supplements for women have always been the synonym of manliness but this stereotype is quickly disappearing thanks to the creation of new companies that are willing to encourage women into improving their physiques and health by adding extra forms of supplementation into their daily diets. Supplements can be used by both men and women in order to improve and enhance their performance. If you are a woman and are reading this be encouraged to try and learn more about supplements because there are many that that can benefit women in many aspects especially as they get older. Supplements will not make you gain weight or look manly; a great number of supplements, if used correctly can benefit you in many unimaginable ways.